Home virat kohli Virat Kohli loses first home series across formats as a captain. Virat Kohli loses first home series across formats as a captain. 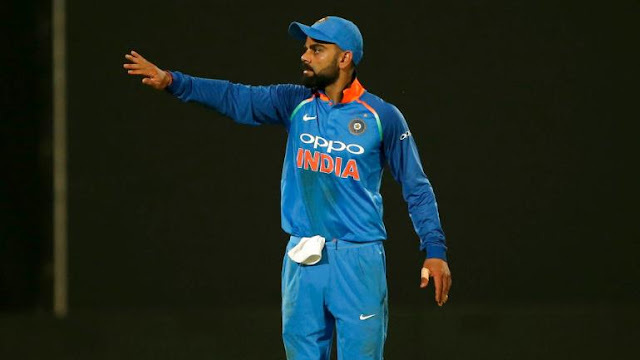 As Glenn Maxwell smacked a boundary off Siddharth Kaul to take Australia past the winning line in Bengaluru, he helped inflict the first series defeat on Virat Kohli as captain at home across formats. With Australia winning by 3 wickets in the first T20I in Vizag and 7 wickets in Bengaluru on Wednesday (February 27), and sealing the series 2-0, they also picked up their first T20I series win since 2017/18. This is also Australia’s first ever T20I series win against India – home or away. Prior to the defeat against Australia, Kohli had remained flawless as skipper at home. Since taking over from MS Dhoni, Kohli led India to wins against Sri Lanka (2014, ODIs), South Africa (2015, Tests), New Zealand (2016/17, Tests), England (2016, Tests), England (2017, ODIs), England (2017, T20Is), Bangladesh (2017, Test), Australia (2017, Tests), Australia (2017, ODIs), New Zealand (2017, ODIs), New Zealand (2017, T20Is), Sri Lanka (2017, Tests), West Indies (2018, Tests), West Indies (2018, ODIs). In between, India drew 1-1 with Australia in 2017 in T20Is. Australia, on the other hand, last won a T20I series in 2017/18 against New Zealand and England in a tri-series. On a bilateral level, Australia’s last T20I series win came against Sri Lanka in 2016. Worth noting that in between, Australia played UAE in a solitary T20I which they won as well.